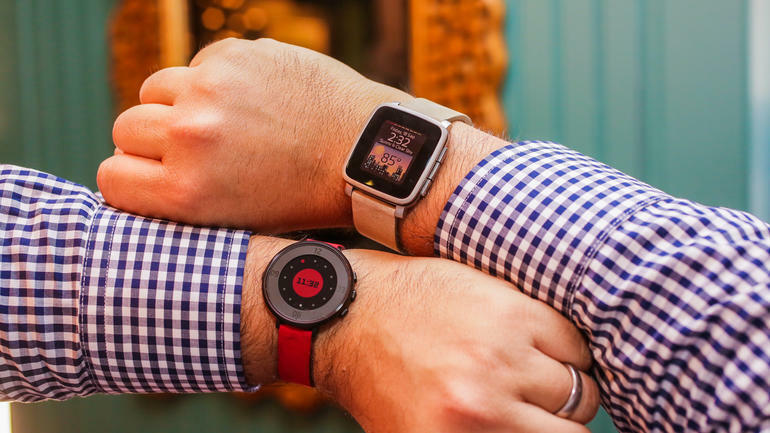 If you have a Pebble smartwatch and are a diehard user, we’ve got good news for you: Pebble has issued a new update for its smartwatches (Pebble Time, and Pebble Time Round) that brings Pebble Health to center stage for its devices. Pebble firmware version 3.9 for Android and version 3.6 for iPhones brings new Pebble Health watch faces, increased MMS support for reading full text messages, speed improvements, an improved Low Power Mode, improved low battery warnings, and fixes and enhancements. The Pebble Time app for iPhone brings a miles/kilometer distance measurement as well as custom responses to text messages (that save on time, such as “I’m in a meeting; I’ll call back later.). You’ll need to have text messages enabled with your carrier to access this feature on iOS. In order to take advantage of these new features, you’ll need to visit either the Google Play Store (Android) or App Store (iOS) and download the latest Pebble Time firmware update by updating your app. If you want to learn more information, head on over to Pebble’s Pebble Health help page.